Kotor is located in a secluded part of the Boka Bay. 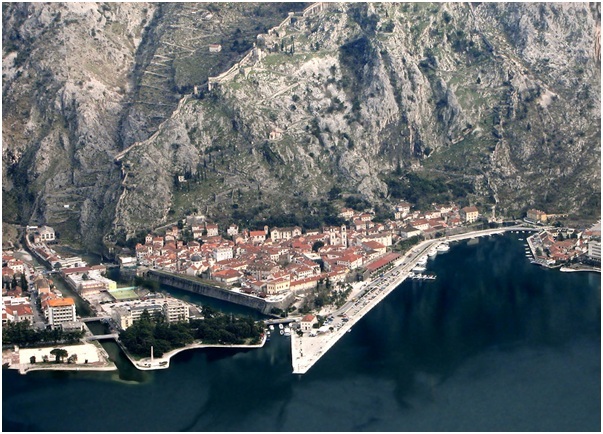 Municipality of Kotor has a population slightly above 25.000, while the town is the administrative center with only 1.500 residents. 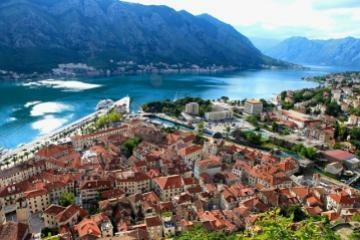 Kotor has one of the best preserved medieval Old Town in the Adriatic region, and it is a UNESCO World Heritage Site. Also, Montenegro has become the first international recognized ecological state in the world in 1992.andBoka Bay is listed as one of the 25 most beautiful bays in the world, along with the Bay of Naples, the Bay of Rio de Janeiro and others. Today’s appearance and coastline where shaped in the last glacial period, when the sea level rose about 100m and more, narrowing and widening were formed within the Bay zone. 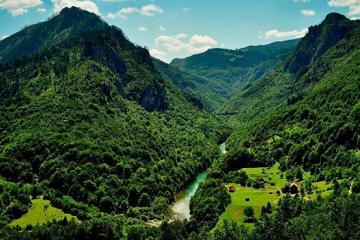 Up to than a powerful river flew a deep valley penetration and predetermined tectonic movements and made several straits: Verige, Kumbor and Kotor Gate straits. The narrowest part of the Bay is Verige strait, which is only about 300m wide. By the time, the sea indented deeply into land, along the lowest part if the valley. The Bay of Boka is formed of 4 smaller bays – The Bay of Herceg Novi, situated between the capes of Arza and Oštra, as well as the isle of Mamula. From the Bay of Herceg Novi, through the Kumbor strait, we come into the Bay of Tivat. These bays made a basin of Boka Bay and are connected with other two bays – Kotorand Risan, with the narrowest but most beautiful strait of Verige. 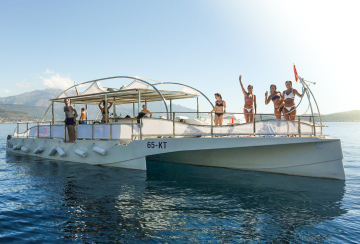 Depth of the sea in the Bay is really impressive and varies from 20m up to 100m (at its deepest point), which allows giant cruiser ships to freely enter the Bay all the way to city of Kotor. The Sea Gate or The Main Gate is the oldest and main gate of the town. Interesting fact is that until the 19th century, the entrance on this gate was only possible from the sea by boat, because all the land (where you can now see road and parking lot) did not exist at all. 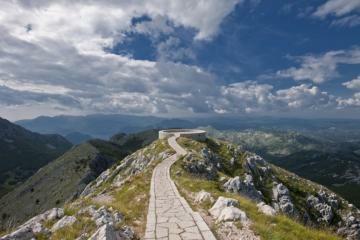 The Kotor City Walls are more than 4 kilometers (2.5 miles) in length and reach an altitude of 260 meters (850 feet). At the top of the ramparts you can find the fortress of Saint Ivan (San Giovanni), reachable by walking along the walls. This masterpiece of fortification architecture,overseesKotor and its inhabitants, with dignity in its own strength, as bearing witness to the turbulent history of the city. 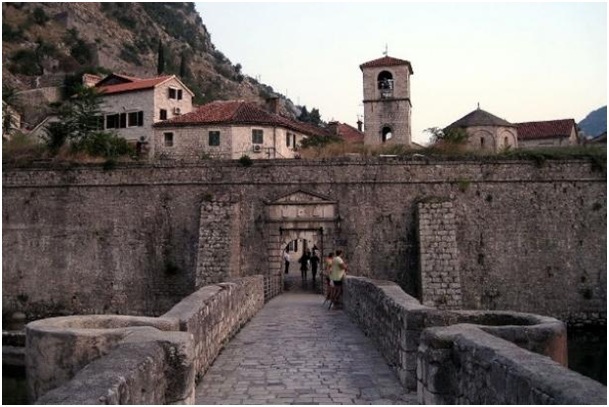 Built and reconstructed from the 9th to the 19th century, these walls are one of the reasons why Kotor in 1979. got on the list of World Natural and Cultural Heritage by UNESCO. High and strong walls, which in some places reaches impressive 20meters, have survived attacks ofnumerous army and strong earthquakes. Many unknown soldiers left their lives and thus become part of the history of this ancient city. The fortress, known as the San Giovanni, in its grounds contain traces of Illyrian civilization, and it housed the soldiers responsible for defending the town. Today these walls walk many tourists. Every year, a new army of curious cross the ancient walls passall 1426 steps, toward San Giovanni fortress, in order to have one of the best views of the city and the Bay of Kotor. The first significant conquerors of Kotor were the Illyrians in about 5th century BC. However, Rome’s invasive spirit had been felt also in that period, and towards the end of that century, the territorial aspirations became quite intensely demonstrated through military actions that could be provoked very easily. Eventually, the Illyrians state was defeated and Romans took over the leadership over this area, forming the first city here, called Ascruvium. Kotor was under Roman reign until the downfall of their empire in 476. AD and for the next 7th centuries the Byzantines will rule here. Instead Ascruvium, Kotor was named Decateron. 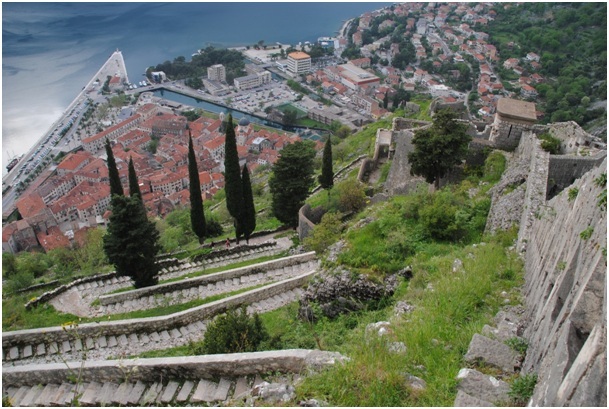 Slavic name Kotor was derived in the period of Kotor’s next conquerors, Serbian Nemanjić Dynasty which ruled here from 12th to 14th century. This royal family made Kotor a seaport that allowed them to maintain good connections with the West. During their reign, this small l fortification experienced a significant economic and cultural boom. After Nemanjić Dynasty, Kotor is being taken over by the Hungarians. 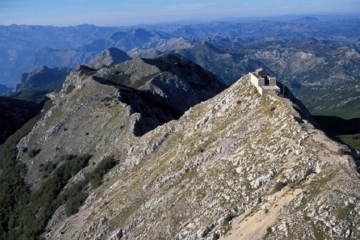 Their kingLudvik rules Kotor from year of 1371. until 1384. Then, the throne has taken by Bosnian king Tvrtko I Kotoromanić and stayed there for next seven years. For the first time, Kotor was independent Republic between years 1391. and 1420. 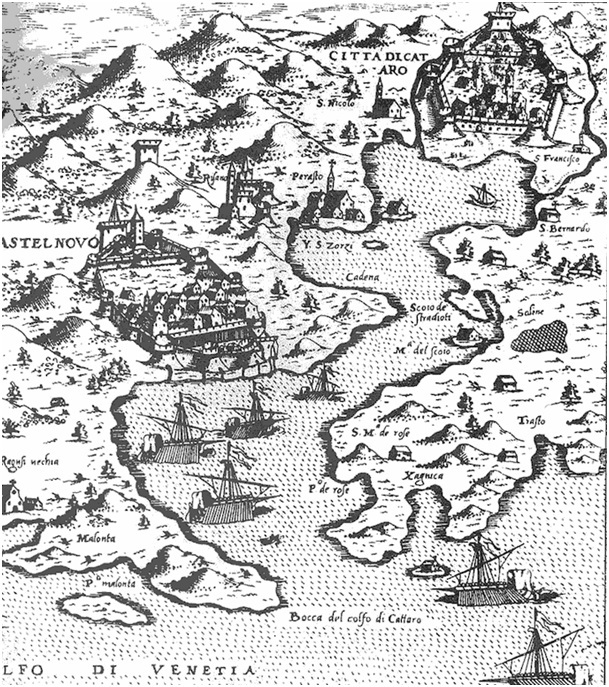 However, the danger ofconquering by the Turks, makes people of Kotor to voluntarilygive away the town to Venetian Republic so they could be protected from the invasion of the Ottoman Empire. Venetians ruled for more than 370 years until of their downfall in 1797. From 1797. to 1805. 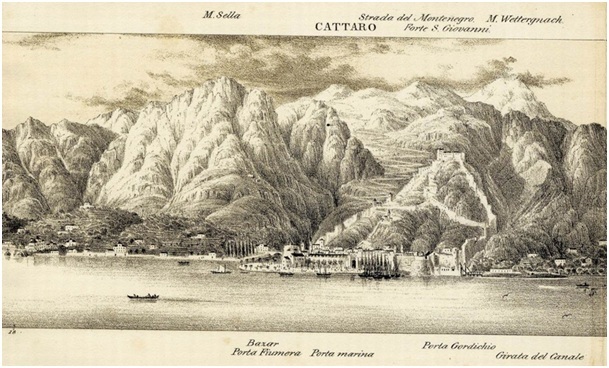 Kotor is a part of Austrian Empire (Habsburg Monarchy). In 1806. Russians come to Kotor, but they rule only single year and turn their throne to France (Napoleon) which stays for next six years. 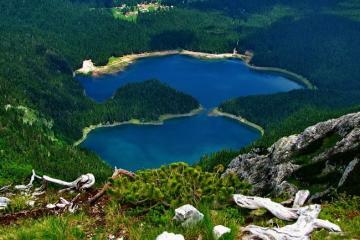 In the year of 1813. a certain union between Boka and former Montenegro was established. Montenegrin ruler Petar I Petrović helps people of Boka to fight against French Monarchy. However, that Union lasts only nine months, as the Vienna Congress held in 1814. didn’t acknowledge this new alliance, so Boka and its surrounding was given to Austria. Next 104 years Boka was part of Austro-Hungarian Empire.